You take pride in your company, and you want that to show every day. 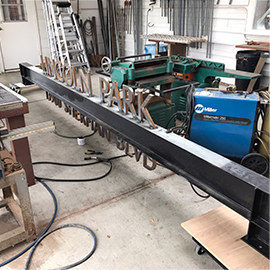 One of the best ways to show off your company while also gaining marketing and advertising opportunities is to get a custom metal business sign. Custom signs not only display your company name and logo in a stunning, unique way, but they also let customers and clients know where your business is and what you do. Quality, custom metal signs are distinct and stand stand out from the norm. They show that you know the value of your business while helping to showcase your quality of work and attention to detail, giving your company a valuable reputation. Getting a commercial metal sign for your company will help make your company and your brand stand out from the competition. Custom metal signs from Signs by Van convey strength, longevity, and are made from the highest quality metals around, which helps boost the success of your company. 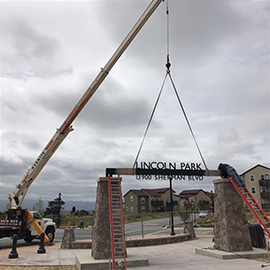 Our highly skilled custom sign makers will perfectly embody the ethos of your company into a custom commercial sign made just for your business. 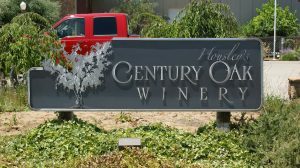 Here at Signs by Van, we can create any kind of custom metal sign, whether you’re in agriculture, real estate, wineries, law, medical professionals, or any other business that needs a unique metal sign for their company. Keep reading to see how a custom metal sign from Signs by Van can help your business. Metal signs are long lasting, and they tend to age gracefully with your property and your company’s exterior structure. 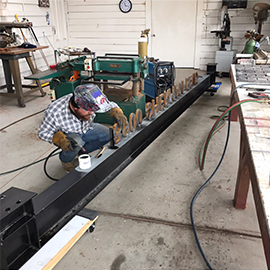 A sign made from metal will not warp or crack like a wood one can after it has been guiding customers to your company for a decade or two. When you choose metal, you’ll have a form of advertisement that will remain in fashion for many years. Aluminum is one of the most commonly used sign materials. In some ways, aluminum signs are an industry standard. Customized signs can be made from aluminum, and the material is available in various thickness levels. With our in-house metal fabrication tools, we can form it into different shapes, styles, and sizes. Plate Steel is an excellent choice for abrasive conditions. Commonly used in the construction of buildings and ship hulls, it can withstand the harshest of environments. Stainless steel signs can easily earn confidence and respect for your customers or visitors. The look, feel and strength of stainless steel cannot be duplicated. Dibond is a popular material choice for signs because of its durability. To make the material, manufacturers place two exterior aluminum sheets on either side of a polyethylene core. This increases the material’s ability to withstand extreme weather conditions. Alumalite is a sign material that is durable and corrugated. Since it features two slender aluminum sheets, the material is lightweight. This formation makes it easy to install, but it can also withstand severe exterior elements. 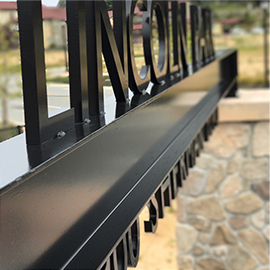 From Paso Robles to Monterey and Santa Cruz, our metal signs will blend in with your community. They are able to withstand tough environmental conditions including heavy humidity, baking sun, and rain. Metal signs are cost effective, customizable and forever in fashion.